by Rosebine Posted 21st Feb 2019 at 10:49 PM - Updated 24th Feb 2019 at 4:35 AM by Rosebine : Adding ONE more Option! Today February 23rd, I am adding one more Default option made specially for DigitalSympathies. 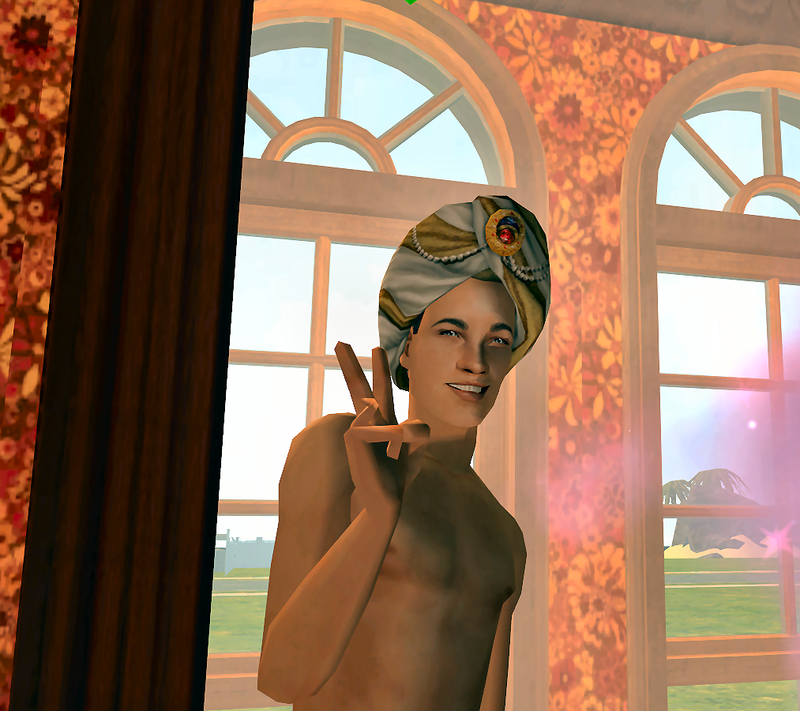 A no feather, no medallion and no pearls Default Turban, for your Sims. 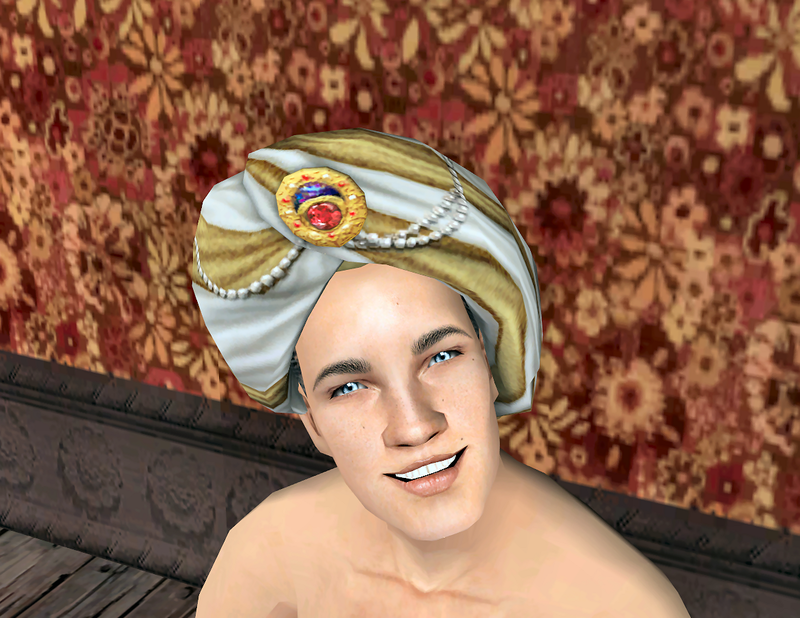 Default_JustATurbanPlayableGenie_By_Rosie if in your game, will give a very simple Turban to your Sims. This new Default also edits the Real game Genie's textures, so Mister Genie will also lose the pearls, regardless. Please, see the 3 new attached pictures with pretty writings. I created this specially for Sunrader. 2 separate files, both can be installed in your game, together. No Feather Genie, will default the Genie who lives in a lamp, and remove its feather. 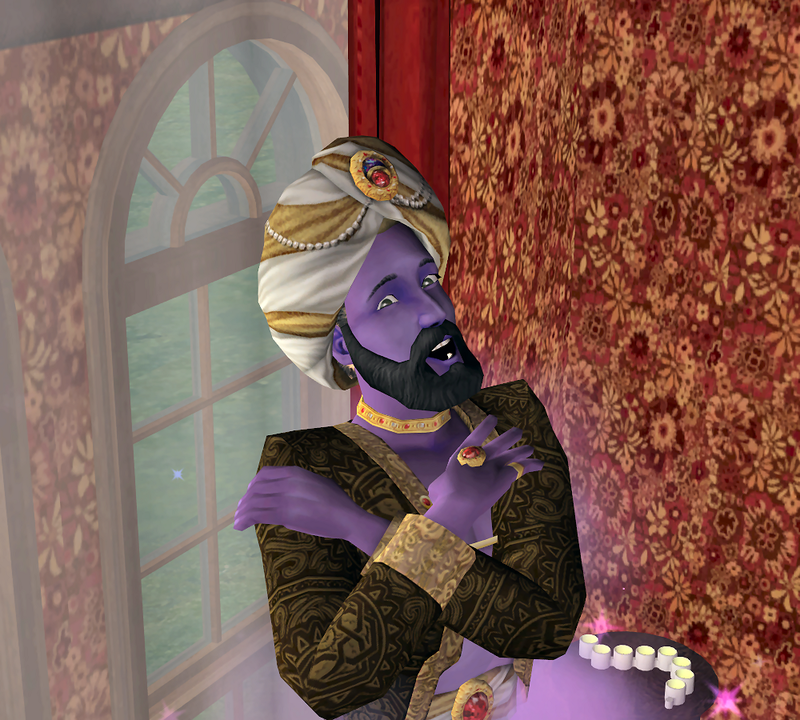 No Feather Playable Genie, will default the Genie Turban, found in the male/hair category in CAS...removing its feather. 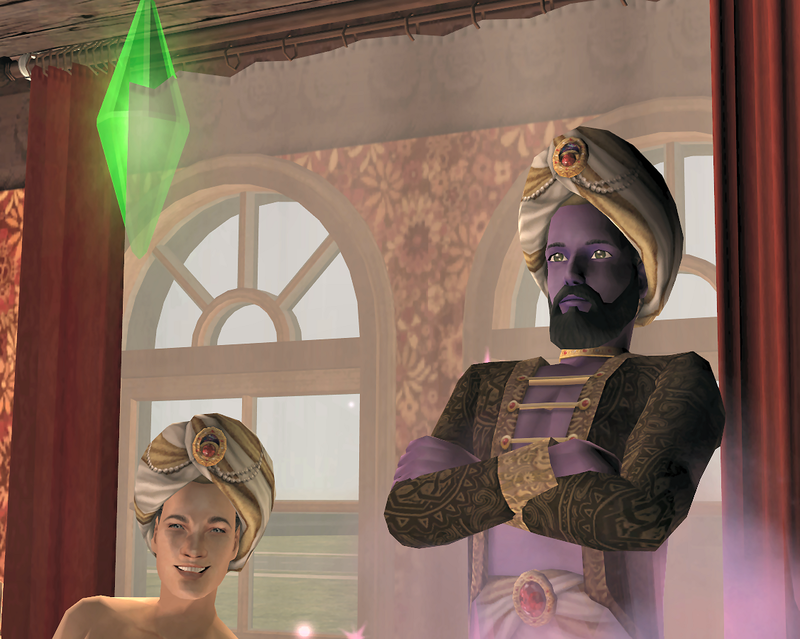 Turban Meshes have been edited. feather_alpha3 and feather_alpha5 group,were removed in both packages. Now, these are a bit smaller in size than the originals. 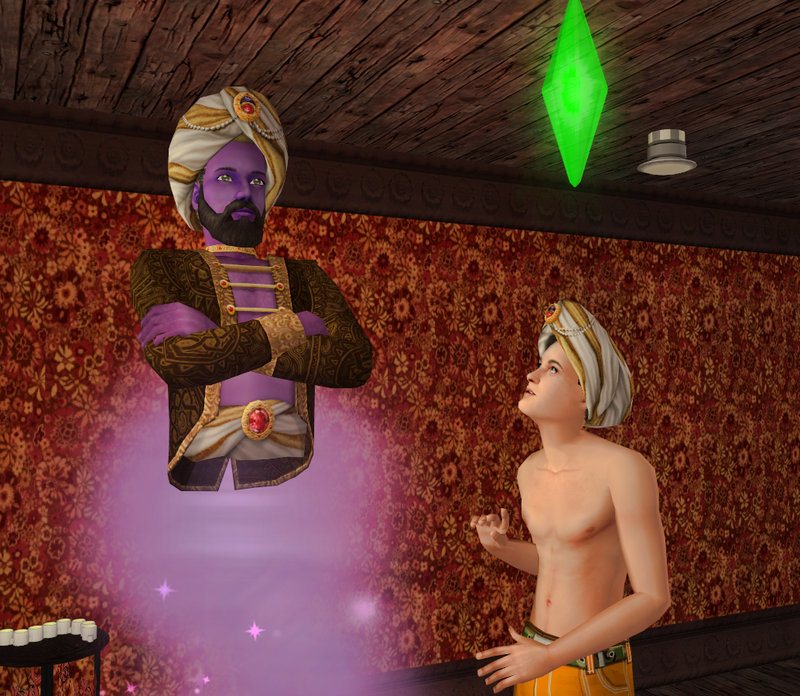 Free Time Expansion Pack is needed for these Default Replacements to be efficient..as the Genie comes from this EP. No FT, No Genie.